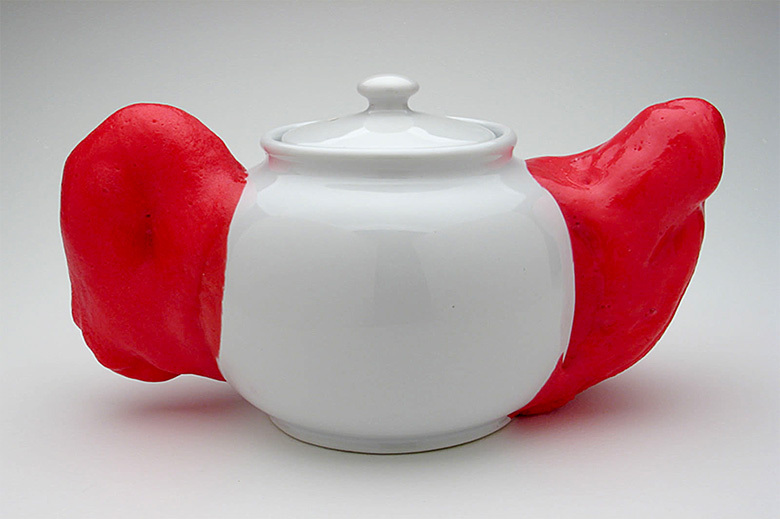 Although these are technically teapots, I am excited about their sculptural possibilities. My original inspiration came from the Philip Guston retrospective at the Fort Worth Modern in 2003. 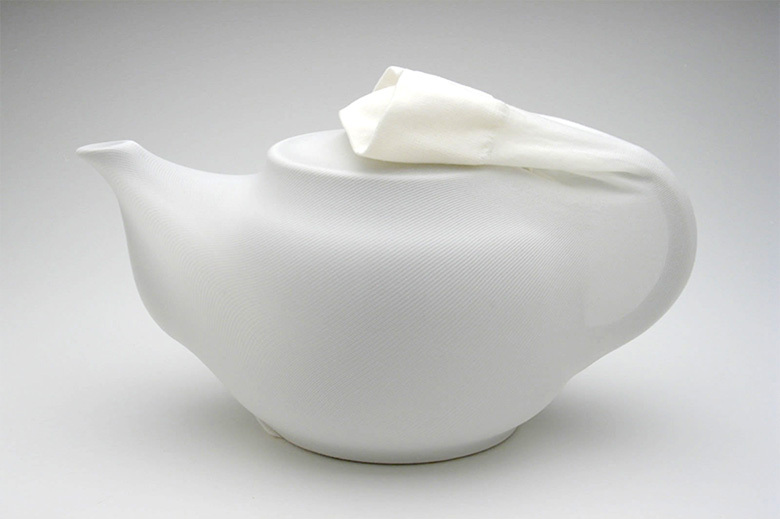 I came across one of his later works on paper “Untitled (Kettle)” from 1980. 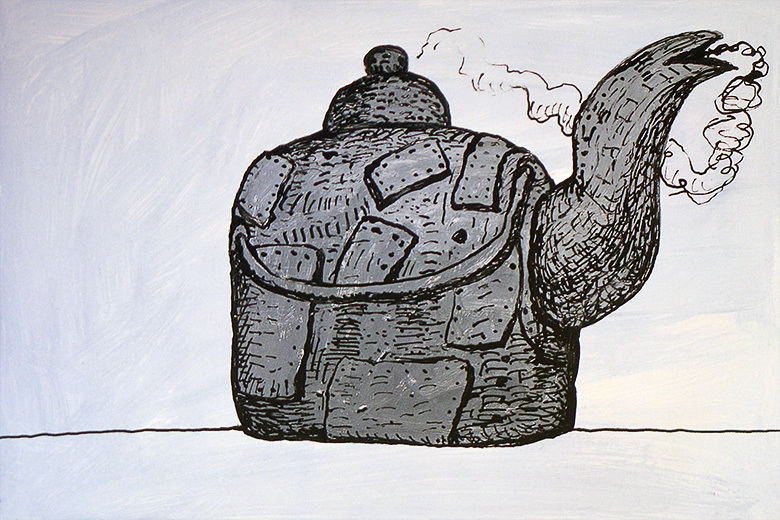 What really struck me about this simple image of a kettle was how Guston gave himself the permission to alter the idea of a kettle to suit his tastes. While this is not a foreign concept to me, my interest lies in that there is nothing else in this drawing to place it in the context of reality, no cup, no table, no stovetop. All one has to go on is this kettle, and yet, right away I took for granted that this was a kettle. It could be his idea of a house for all I know. The steaming spout could easily be a chimney, and what looks to be a handle resting on the shoulder of the form could be the gutter of the roof. What this little epiphany did for me was help me see that I could take these two teapots that I purchased at a thriftstore and alter their forms and function considerably and still consider them teapots, or not. 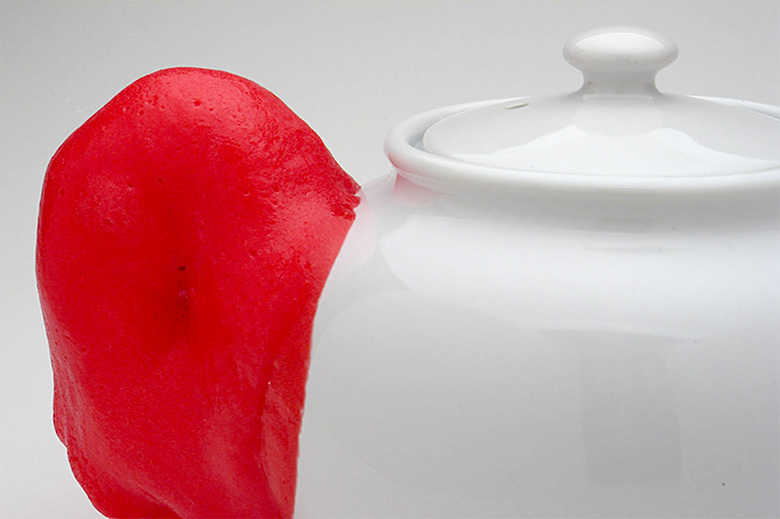 The tension, created between what I know to be a teapot and what I am actually looking at, really excites me. The other side of this is in altering of a form with what could be considered it’s surface rather than its structure. This is still new to me.